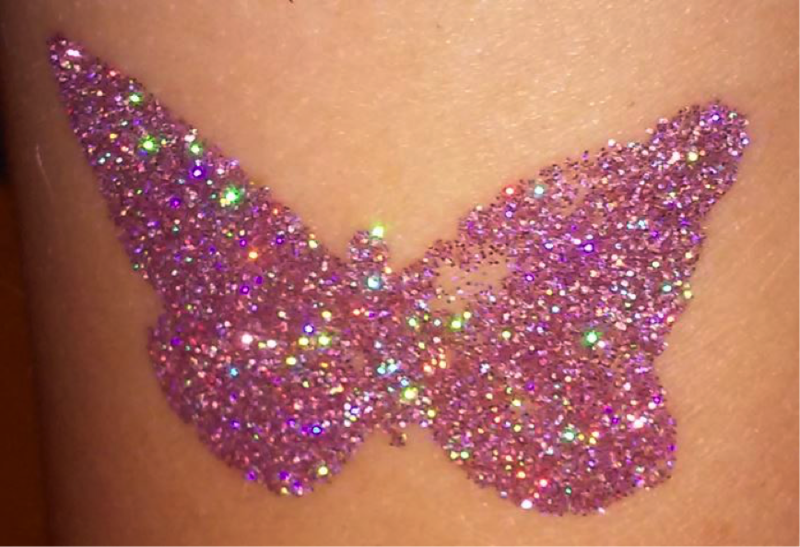 Today I got lots of curious looks from the people noticing my newest gadget: a butterfly glitter tattoo on my arm. And odd it is, wearing a child’s decorative art as an adult, isn’t it? After all we have to do serious work here, right? And we need to be efficient. And produce solutions that work in this reality. Within time and within budget. Solutions that create revenue. Okay, so we have advanced from a working model where people are nothing but resources. And we tolerate enjoyment at the workplace – because we acknowledge that it makes people more motivated and maybe that pays in to the primary goal of making money that every company has. Might also prove useful as people tend to get diseases as burn-out more and more often these days. But a glitter tattoo? That surely is going too far, right? I mean, imagine how the world would be if everyone focused on whatever gave them inspiration. Just because they found it beautiful. People not working because they have to and doing what they are told. But freely following their own creativity and bringing forward their topic by heart. Imagine the happiness they’d share in their breaks and the inspiration they’d exchange. Imagine the energy buzzing in this “working sandpit”. The enthusiasm that would find its way into the products they created. Well… actually that is a world I would like to work in. It is the world I lived in last weekend at the Agile Coach Camp Germany 2017 (which is also where I got the awesome tattoo). Yes, we need to focus also on what it takes to survive. As people and as a company. But is this such a contradiction? I think it isn’t. And that’s also what several empirical approaches suggest, e.g. the Agile Manifesto or this study of the Social Market Foundation. That is why I’m wearing my glitter tattoos with pride and with joy. They are an anchor in daily life, inspiring me and reminding me of what the world can be like. If we only want it. Anke Maerz started to work as a Scrum Master in 2014. Really getting involved with the agile mindset, she is now persuing appreciation, vulnerability and wholeheartedness with her teams and with the world. 1 Comment on "Guest Blog: Glitter on the Day Job"
So true! Thank you for this reminder! I’d like to add to this beautiful sentence …what the world can be like, if we only want it AND let it.